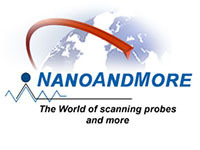 NANOSENSORS™ has appointed NanoAndMore USA Corp. (NAM) as the official distributor of its line of probes for Atomic Force Microscopes (AFM) and Scanning Probe Microscopes (SPM) in the USA, Canada and Mexico (NAFTA). Being a part of the NanoWorld Group, and with the industry expertise of Mr. McMurtry, will enable NanoAndMore USA to react quickly to the steady increase in use and the changing requirements of the growing community of AFM users. This, in conjunction with holding the largest stock of NANOSENSORS™ products in the USA, puts NanoAndMore USA in a unique position. NAM is the first distributor of AFM probes to sell them in premounted formats for the more widely used AFM systems that require them, as well as just the probes themselves. This allows the end user to have a second source (or primary source) of necessary premounted tips.